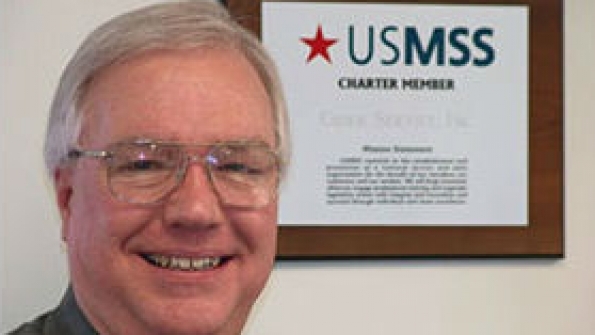 Technology Resource Network, International (TRNI), formerly known as USMSS, lost the chairman of its board of directors on Friday, Dec. 5, when Dave Robison passed away unexpectedly in the early morning hours at the age of 65. The newly named Technology Resource Network, International (TRNI), formerly known as USMSS, lost the chairman of its board of directors on Friday, Dec. 5, when Dave Robison passed away unexpectedly in the early morning hours at the age of 65. Dave left his wife of 44 years, Debbie, daughter Jennifer, and son Mark, in addition to his parents. Dave was the oldest of five children, leaving three brothers and a sister. Formerly in the Navy Reserves, Dave served as chairman of the board of directors for USMSS (now TRNI) for the past 16 years. Dave took over the family business, Communications Service, Inc. in Ashville, N.C., for his father James. Dave did not grow up in the radio business. He had a doctorate in biochemistry from Tufts University. He was a chemist by education, and an entrepreneur by choice. Dave lived in many places; he was born in Chicago, where his Dad worked for Motorola, and also lived in the Boston and Seattle areas. Dave was involved in new business startups, and had a wealth of experience about how business should work. The independence of the business unit to stand on its own two feet was very important to Dave, who spoke of multifaceted processes and distinct tracks of learning disciplines. Dave had a vision of what he wanted the trade association to be, even if he wasn’t the one getting all the credit. He was proud to be the chairman of USMSS and TRNI, but it was even more important to him to be a catalyst in the evolution of the organization. The name change was only the first step in a well-planned vision. Now, it is our job to make that vision a reality. 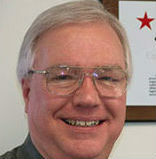 TRNI will establish a lifetime-contribution recognition award named the “David J. Robison” award in Dave’s honor. This award will be created in April, and a new TRNI chairman will be elected at a special board meeting in Hershey, Penn.